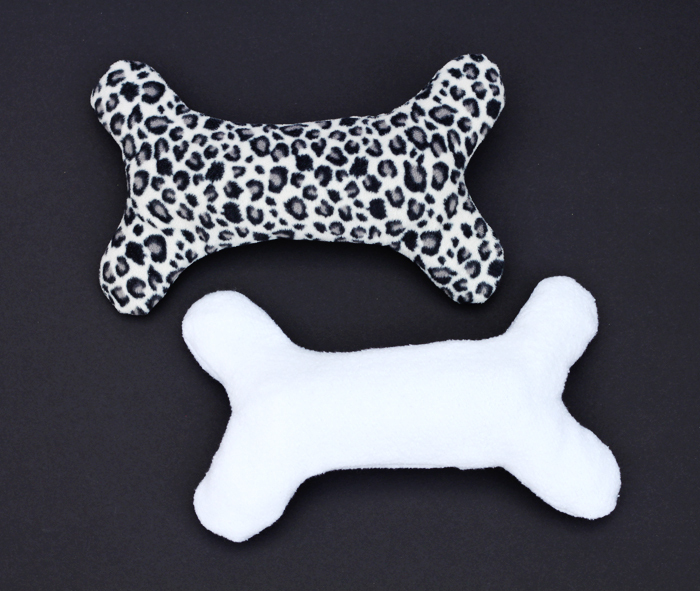 My dogs love chewing on water bottles and it gave me an idea for how to make a dog toy: a simple homemade water bottle dog toy shaped like a bone! 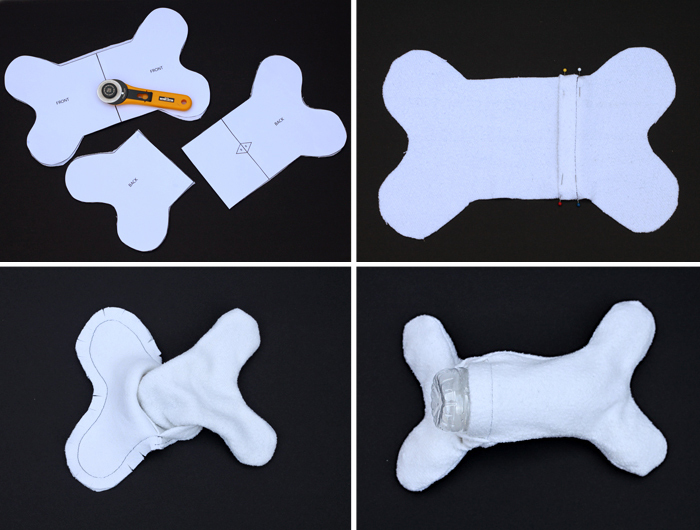 This cute and simple sewing project makes the perfect upcycled dog toy. 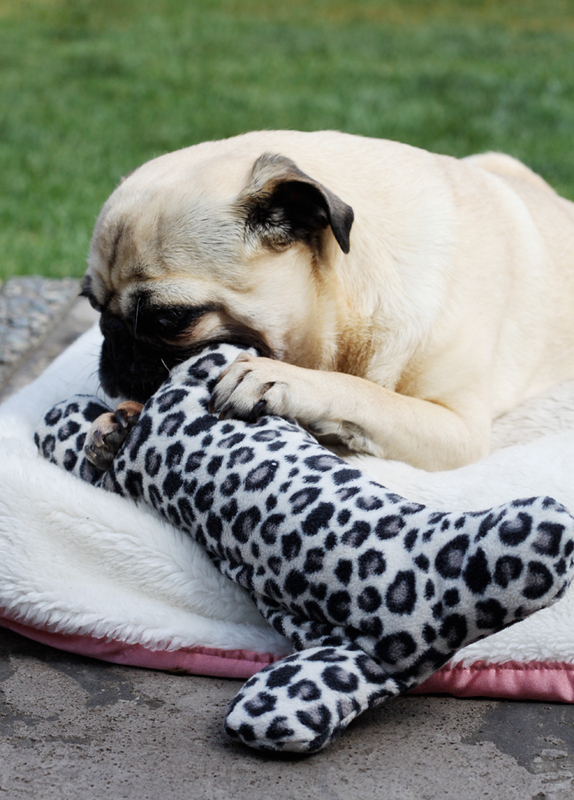 It’s safer, and much cuter, than just letting your dog gnaw on an empty bottle. Made with fleece, this is the perfect project for using old sweatshirts or fleece scarves. The simple envelope construction means you can easily slip a new bottle in whenever it looses it’s crunch. And with the free pattern this is a super quick and easy sew. 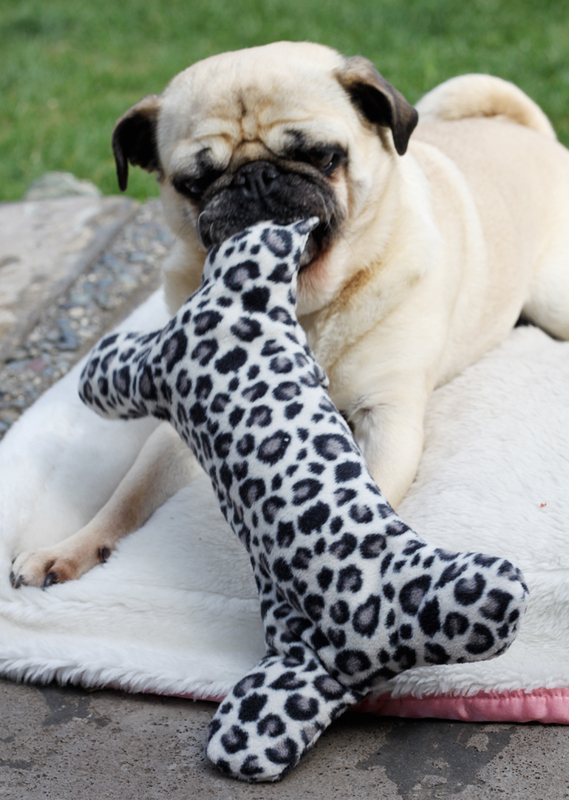 Never waste your hard earned cash on fancy dog toys again! With a few recycled items you can make your own! 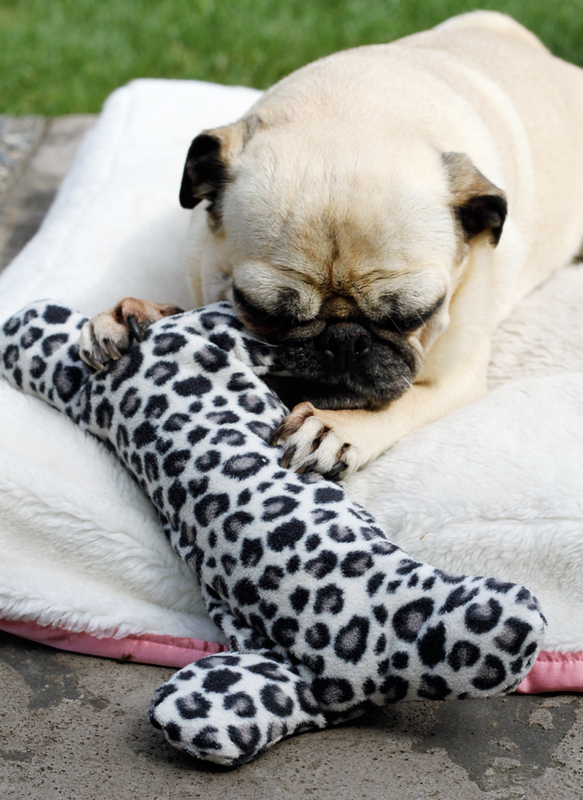 You’ll love making it and your dog will love playing with it! Print pattern, cut out each piece and attach pieces with tape where indicated. Happy Crafting! I hope your dog likes these as much as mine does! I just made this for my dachshund. He is busy playing with it right now. He LOVES it! Thank you for the pattern! Any idea how much fleece I need to buy? I want to head to the store and get the stuff to make it. Thanks for the pattern! I love this project! It’s so simple and you get a toy that will be used for years to come 🙂 Thank you for making this tutorial! I featured it on my blog today: click here to see it. Going to make one for my puppy – she loves plastic bottles but I’m always worried she’ll accidentally swallow a piece. If I make this out of a very tough fabric (perhaps canvas? Thick denim?) I think she won’t be able to get to the bottle to tear pieces off. I have a question about your copyright. Did not want to publish. Please contact me via email.